I Make Cheese: My new pH tester! More cheese, much more cheese! Welcome back. I would strongly suggest you remove a small sample from your pot to test the pH. After testing, discard the sample. Your electrode likely sits in a storage solution and you probably don't want any of that in your cheese. Its not uncommon for mold and other funky stuff to sit in your storage solution too. Even with rinsing your electrode before taking each reading (which I'm sure you do), you may risk some contamination. 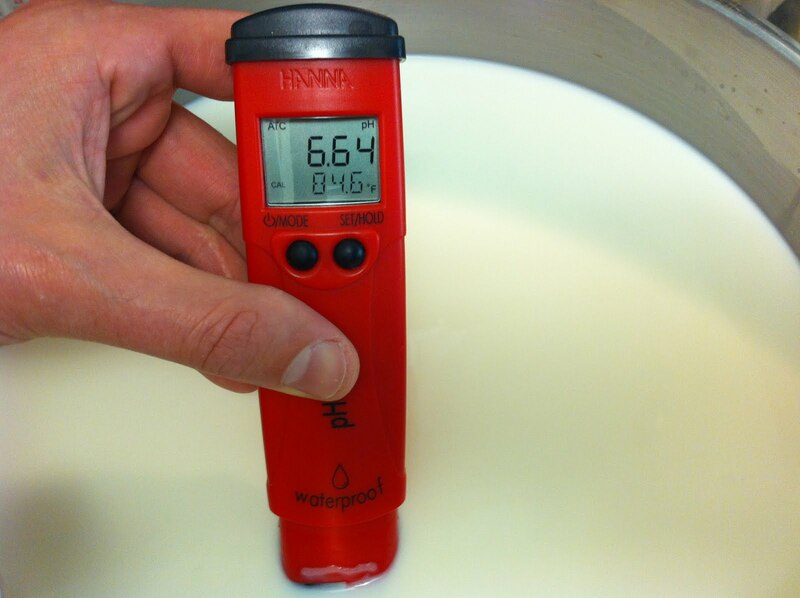 Does pH only affect process timing in cheese making? If pH adjustments are necessary, there's food safe adjustments you can make during your procedure. Understanding pH and how to adjust it can lead to lots of potential (pun intended!). Good advice. I was rinsing the tester between samplings - but yes, for most of the process I could certainly pull out some whey and then discard after testing. 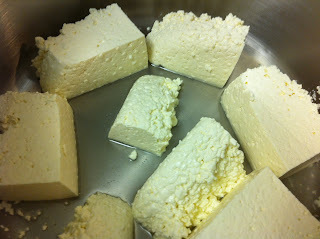 I haven't figured out how to test the curd once it's stopped expelling (most of) the whey. Ideally it would be good to know the pH of the cheese as it goes into (and comes out of) the press -- but with my current tester I can't think of a way to do that (since it can only test liquids). As for adjusting, I'm not yet sure what adjustments can be made. I think adding Calcium Chloride at the time of renneting is one strategy -- and I think that is often done based on the seasonal changes of the milk (so it would be on the *next* batch that you adjust). For the current batch, the only thing I can think of is to increase or decrease some of the time between steps. Knowing the PH of the Whey gives you a very close idea of the PH of the Curd. I am a cheesemaker down in Little Rock Arkansas. Enjoying the blog! But I would caution against these types of readers. while they work great for beer and wine, the calcium in the milk tends to gum up the readers. They end up giving false readings after even just 5 uses! I know a few cheesemakers that have regretted buying these. pH Strips work very well and you can also use them to test curd directly by cutting a slice in the curd and placing the end of the strip into the curd for a bit. Good luck with your cheesemaking! Which ph strips are you using? Most ph strips are very levels. They change colors at a full number variable.